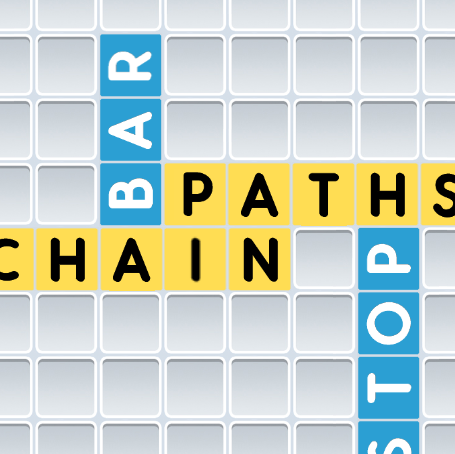 As in other games, you form words from tiles. But in Libretto, each player has their own color. 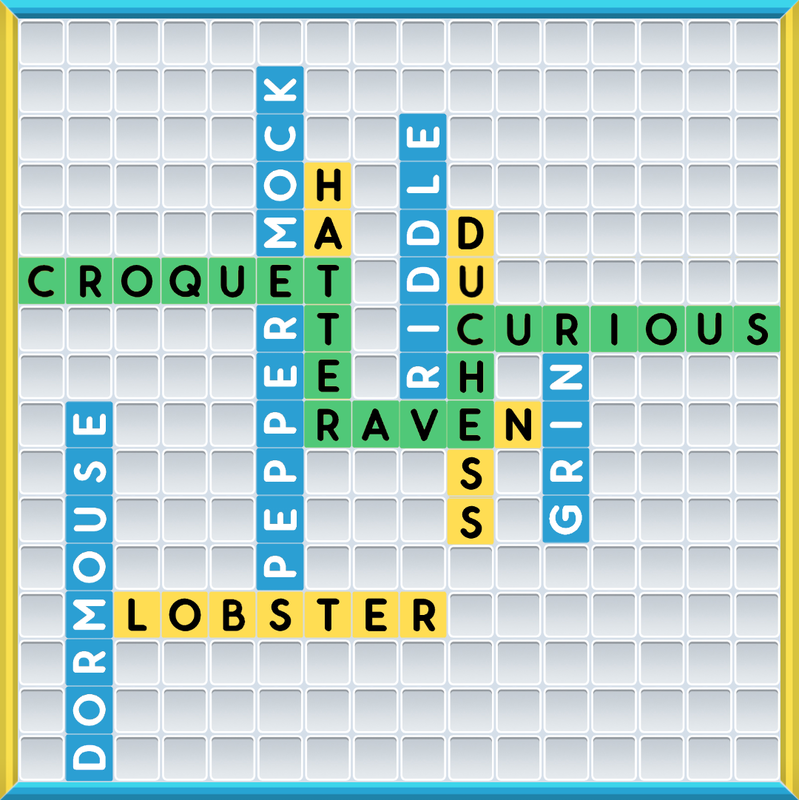 Play words offensively or defensively, anywhere on the board. 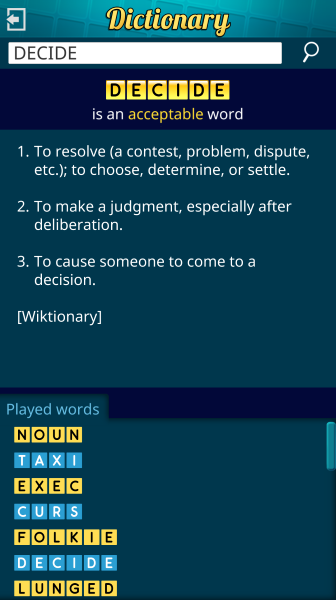 You don't need to play connected words. 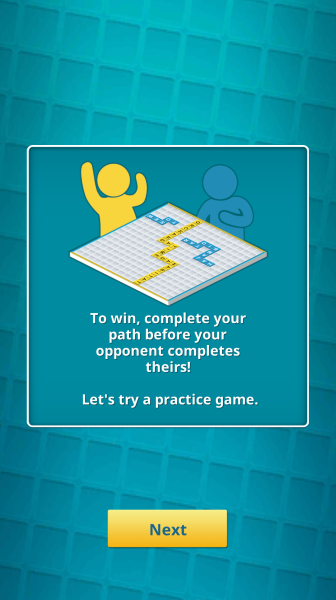 You win by making a path of words between the left and right sides of the board, not by scoring points. 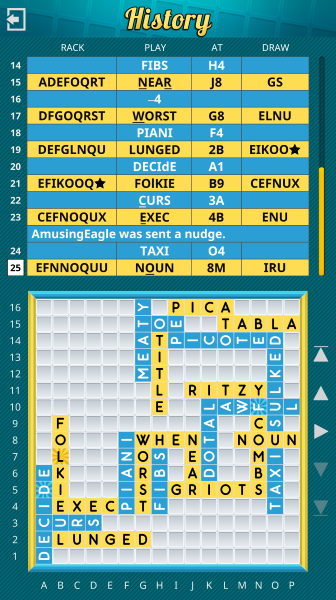 "For the first time in 40 years I've been blown away by a word game besides Scrabble. I love strategy games, and the depth of strategic thinking available in Libretto compares to, if not surpasses, Scrabble. Libretto presents a wonderful, exciting and completely new experience for word-gamers!" "I love playing Libretto. It has a beautiful feel to it, and poses challenges quite exhilarating. 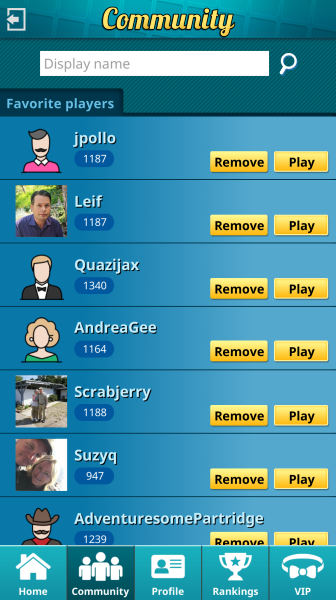 Traditional word games may soon have to take a back seat." "Libretto is deceptively simple. Play it once and you'll realize that it's similar to word games you already know, but not. Play it again, and you'll be hooked by its labyrinthine complexity. 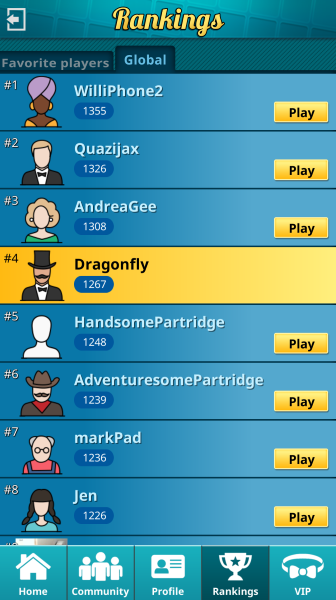 This addictive game keeps me up past my bedtime more often than I care to admit!" Keep track of your games, your friends, and more! against players from around the world. See your own performance stats, and those of others. Connect to social media. If you wish, share your location. Keep a list of your friends, favorite opponents, national champions and other players you want to track or save. Communicate with opponents and friends while maintaining your privacy and contact preferences. Who are the top Libretto players? See how you compare against the people you know and against top players worldwide. with a built-in tutorial and simple, intuitive controls. Instantly see who you're playing. Tap their name or image to see their player profile and statistics. 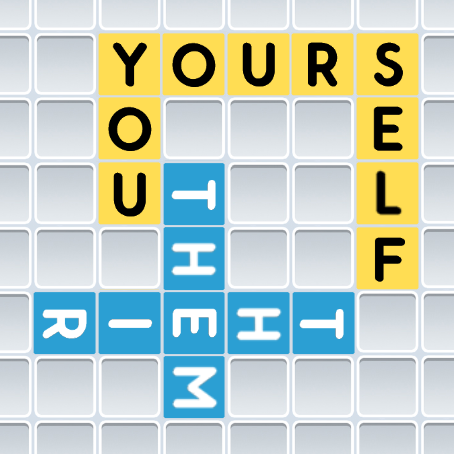 Once you position your first tile you can just tap the others. Libretto knows what to do. 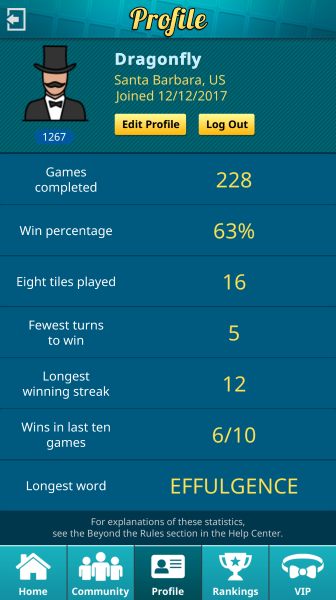 Add your tiles to the board, moving them individually or as a group. Easily flip, swap and shuffle tiles at the tap of a button. Play multiple games at at time! 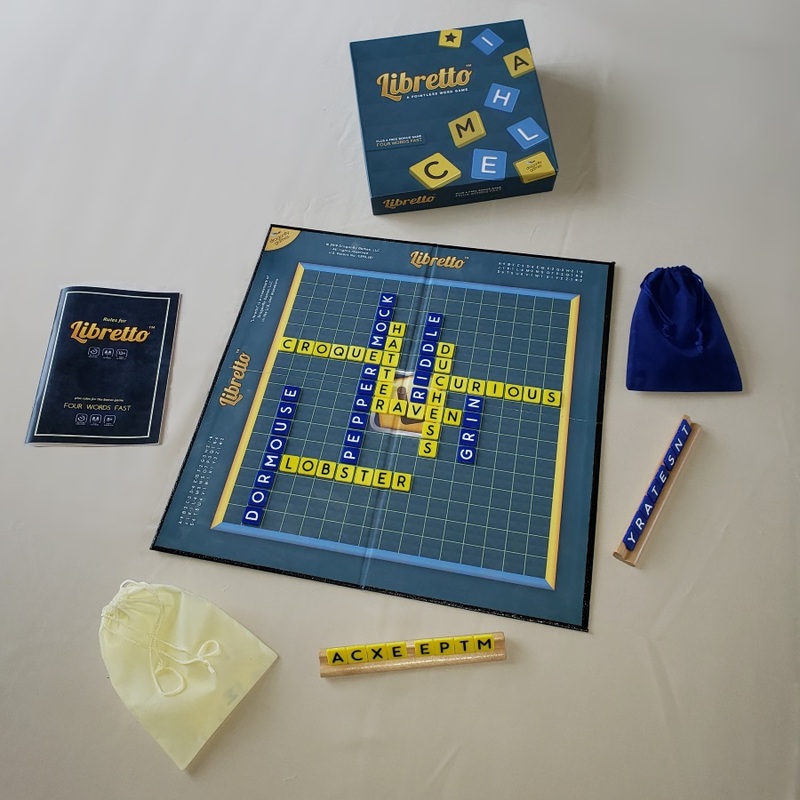 Libretto is now available as a board game! Want to learn about new releases, added features, contests and other Libretto news? Add your email address below. We won't use it for any other purpose, we promise.